On May 17th, we’ll be leaving for a trip to Mexico. 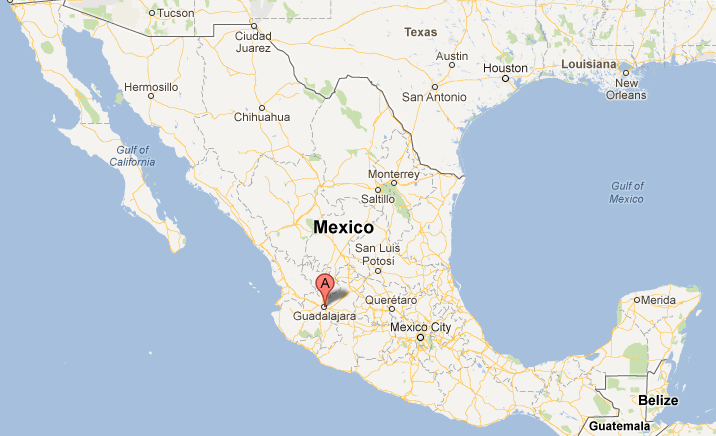 We will fly into Guadalajara and plan to start our trip by spending a few days in Mexico’s second largest city. At this time we don’t have a fixed itinerary beyond Guadalajara, however, there are a few places we have an interest in visiting: Leon, Guanajuato, San Miguel de Allende, Morelia, Oaxaca, Xalapa and Veracruz. Depending upon our timing and interest level we may wander further east into the Yucatan. Our plan is to return to LA near the end of July. Valerie’s son Jason is getting married on August 18th, plus we’d like to be able to see some of the Summer Olympics which begins on July 27th. – There is violence and crime virtually everywhere on the planet, some areas more so than others. – MOST of the drug related violence has been directed at rival organizations, journalists and government officials who represent a threat to exposing the activities of the drug groups (referred to as TCO’s, Transnational Criminal Organizations by the US State Department). – MOST of the drug related violence has been occurring in cities along the Mexican border with the US. – We are not traveling in a large group of tourists, which one can argue would make you more of a target than when traveling alone. – We are low profile travelers. We stay in “budget” or mid-priced hostels/hotels, not in luxury “American” style hotels. When out walking around, we do not wear expensive watches or jewelry or carry expensive cameras, smartphones or other potentially desirable items. We do not wander into non-tourist areas after dark. Also, we generally carry only the cash we expect to need for that day and do not carry credit cards. Clearly, everyone knows that we are not “locals” (me: super white and too tall; Valerie: Japanese) but these factors tend to keep us from becoming obvious targets for thieves and other evil doers. We’re looking forward to the trip and will of course add to the blog as we make our way through central Mexico. Well I’m excited to hear about this whole adventure! I’ll be sure to check your blog! We’re all “living through you and Valerie!” Looks like fun! I really want to go to Mazatlan….if you go, please email me a picture and give me the scoop! I hear the nightlife there is a real attraction! I don’t expect to get to Mazatlan on this trip. 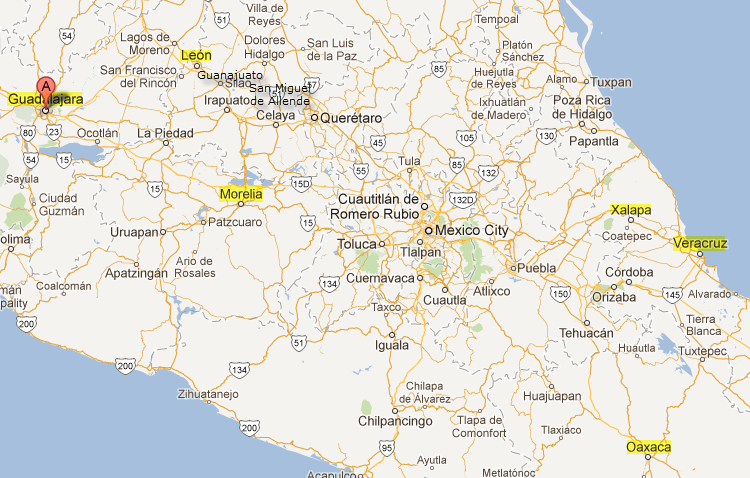 We’ll be heading east and south from Guadalajara, Mazatlan is in the opposite direction. But we’ll ask around. Sooooo…you’re off again! I’ll be reading your posts as they appear. School is out the 25th! WooHoo!! Have fun! Be safe!